Following on from yesterday’s post, I had an email from David Moore pointing me in the direction of an aerial photograph of the canal running past Sandfields Pumping Station. You can see it on his flickr stream here, and you can also see lots of other great images, including my own personal favourite photograph – the Sandfields staff in 1893 here. Please go and take a look! If you do manage to rejoin me at some point, here’s a fairly recent aerial view of the pumping station, plus some photos I took myself in summer this year. I thought that the canal was in front of the building (I know, I’m an idiot sometimes! 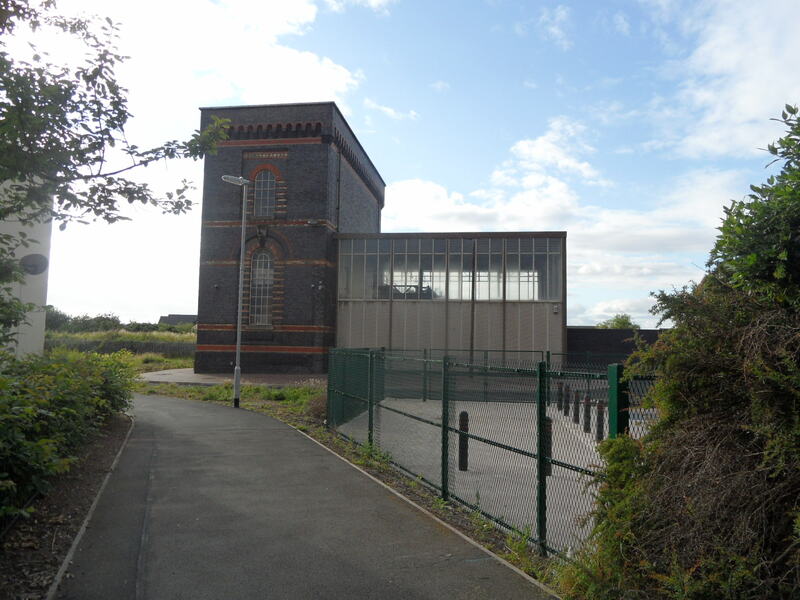 ), but clearly it ran parallel to the railway line on the opposite side of the pumping station. 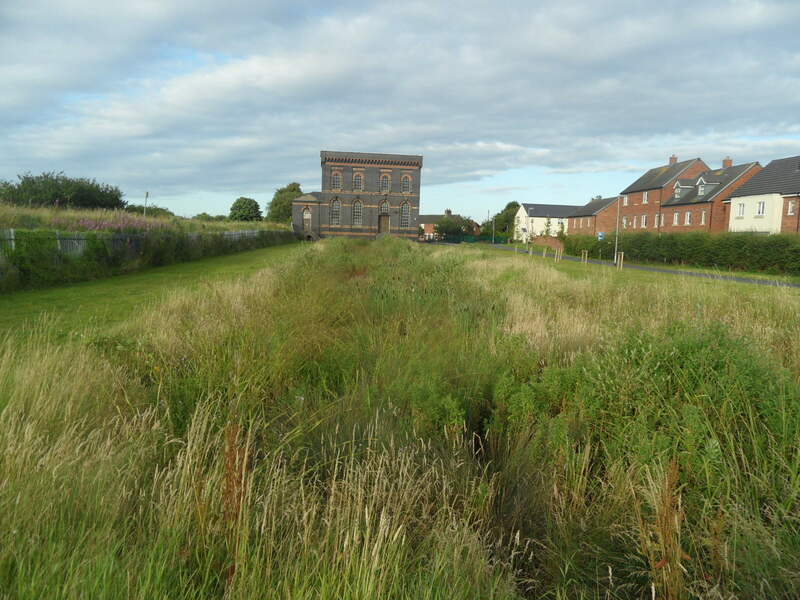 (On that note, it would be interesting to explore the relationship between all of these elements of the landscape – the canal, the brewery, the railway, Sandfields etc). The last photograph doesn’t show anything to do with the route of the canal, but I’ve included it because if you looked at David’s photograph of the Sandfields workers in 1893, you might recognise the steps! If you haven’t been over to David’s website on the history and future of Sandfields yet, you can find it here – please do go and take a look now. David’s also going to hopefully add some more photographs of the canal later and I thank him for all his help in steering me in the right direction! Finally, I’d also like to mention that Philip John has let me know that the route of the Lichfield Canal has been mapped by the volunteers at the OpenStreetMap project that he’s involved in. There are mobile apps too, so when I attempt to follow the route of the canal beyond Sandfields, I can download one of these to stop me going too curly wurly! 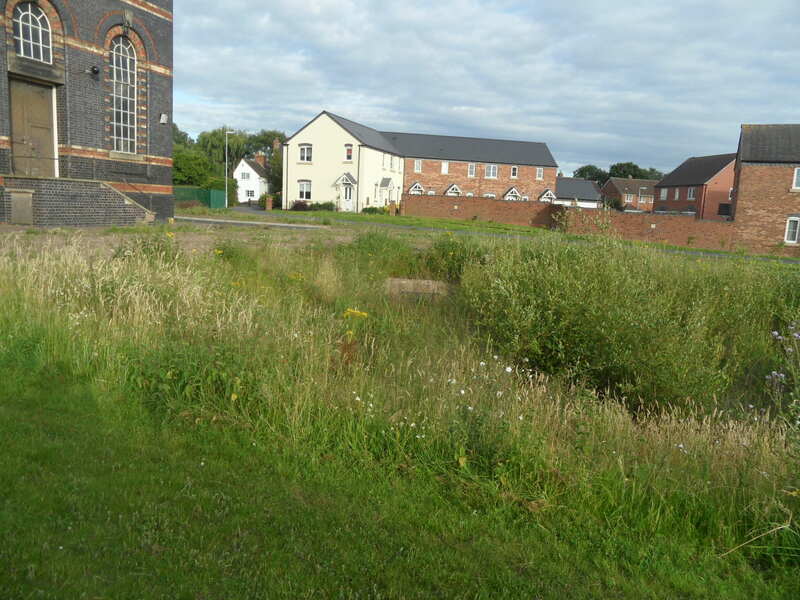 This entry was posted in architecture, brewery, Buildings, canal, community, employment, industrial, Lichfield, water and tagged aerial view, canal, chesterfield rd, employment, history, Lichfield Canal, open street map, sandfields, shortbutts lane, water, Wyrley and Essington by Kate. Bookmark the permalink. 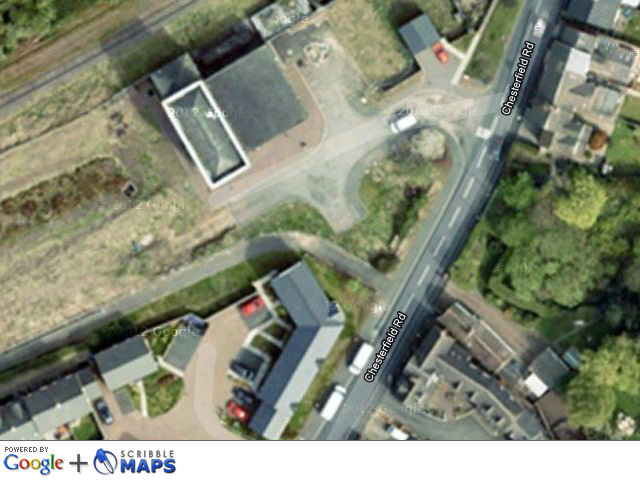 Waterworks, Brewery, Canal, did I see a ‘Gas works’ on an old map too? Now there’s a phrase that’s fallen out of use, most towns has a gas works in the good old days of town gas. Yes, yes you did! Nowadays some very pretty gardens, where in fact,I was sledging yesterday! And someone my Dad was talking to yesterday happened to mention that him and his friends were known as the Gas Street kids as their gardens backed on to the works. Also a building near there known as Waterworks Cottage, where I believe there was once an outdoor swimming pool. 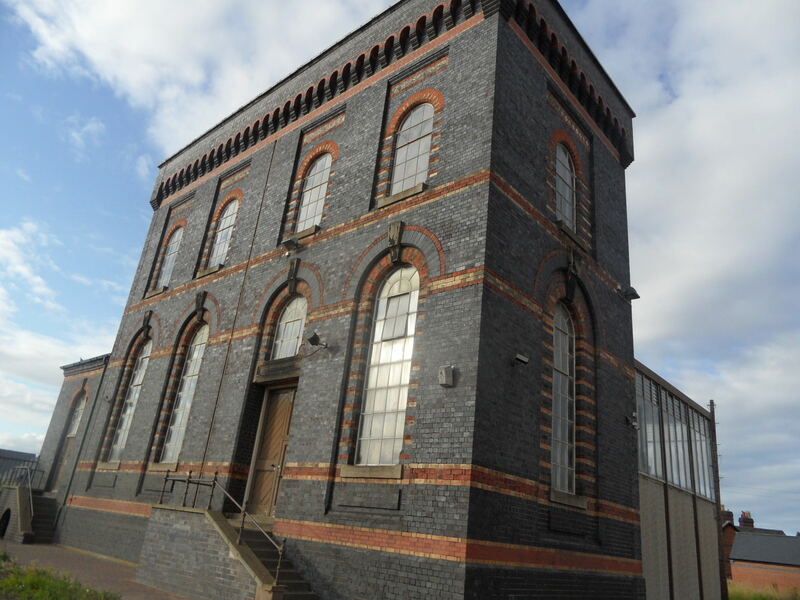 Also, in trying to find out more about the Lichfield City Brewery, I’ve read there was another brewery at Trent Valley (now gone) and I’ve been reading about this and the pumping station there. OMG to use a modern phrase, one of my relatives is on one of the pumping station staff photos, I never knew it still existed. I think the relationship between the canal and the maltings may be obvious because they use to brew beer in the Midlands and where does the canal go to? I think in the 1970’s the children used the basin of the old canal as a bike track from oneside to another. Also near by is I think “Bluebell Woods” an old courting area! Again memories oh memories, thank you very much for another great blog, awesome. Thanks! Really like the idea of the kids using the canal basin as a D-I-Y BMX track! As you had relatives at Sandfields, I especially recommend you follow David’s blog!